Hello again, my stamping friend! 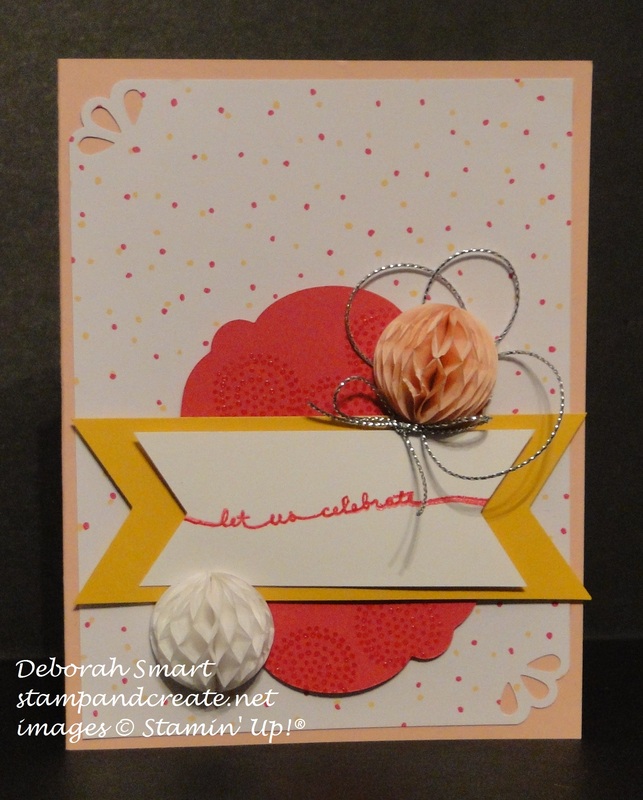 Thanks for stopping in to have a look at my card for the latest Paper Craft Crew Challenge! Well, I didn’t use balloons this time, though I did use the sentiment from the Balloon Celebrations stamp set! I started with a card base of Blushing Bride cardstock, then added a panel from the It’s My Party DSP Stack, after punching two opposite corners with the Curvy Corner Trio Punch. I used the retired Labels thinlits to die cut a piece of Melon Mambo cardstock. I used the circles image stamp from the Balloon Celebration set, stamping it in Versamark ink then heat embossing with Clear Embossing Powder. The sentiment was stamped first in Versamark ink, then immediately with Melon Mambo ink, then heat embossed with Clear Embossing Powder. I love this technique; it lets you have embossed images in any colour, even if you don’t have the coloured embossing powder! I layered the sentiment over a piece of Crushed Curry cardstock, and cut the ends of both pieces using the Banner Triple Punch. I then attached it on top of the Melon Mambo label shape with Stampin’ Dimensionals, and attached it to the DSP. I made some loops with the Silver Cording Trim (I stocked up before it retired! ), and glued it under the Blushing Bride Honeycomb Embellishment. I then tied a bow, and added it in front of the honeycomb. To balance out the front, I added another Honeycomb, this time in White, to the bottom left corner. 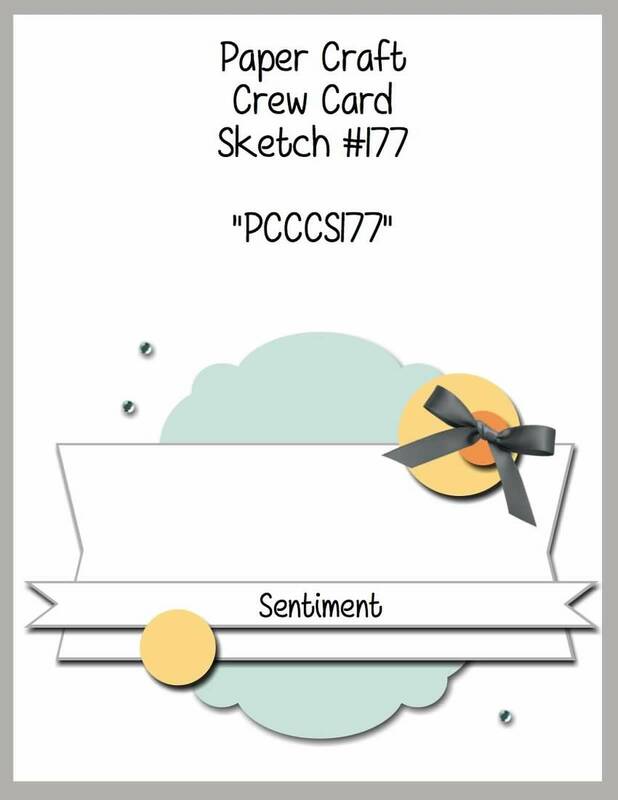 Of course, I hope you’ll play along with us; create your own card based on the sketch, and link up with us!